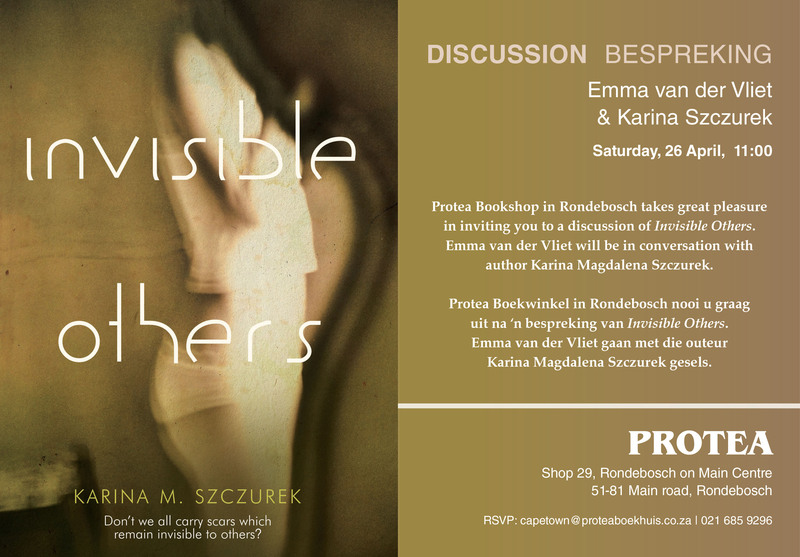 It is with great pleasure that Protea Bookshop in Rondebosch extend an invitation to what we would like to call the homecoming launch of Karina Szczurek’s Invisible Others, on Saturday morning, 26 April. Karina will be here to discuss her debut novel with Emma van der Vliet. 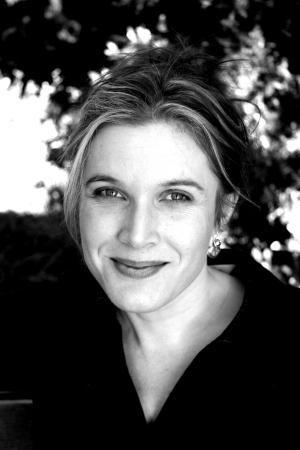 Emma van der Vliet is the author of Past Imperfect and Thirty Second World. I had the pleasure of working with Emma on both, Touch: Stories of Contact and Encounters with André Brink. I love her work and look forward to our discussion next Saturday. Protea Bookshop is located almost around the corner from my home and it is one of my favourite places in Cape Town – excellent staff and a wonderful collection of books. It is indeed a true “homecoming”. This entry was posted in Events and tagged Emma van der Vliet, Encounters, Invisible Others, Karina M. Szczurek, Karina Szczurek, launch, Past Imperfect, Protea Bookshop, Rondebosch, Thirty Second World, Touch on April 17, 2014 by Karina.